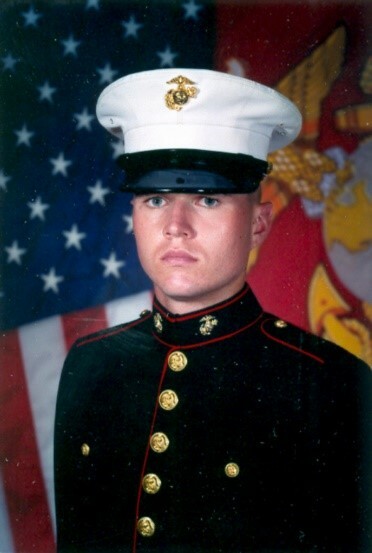 S. Marine Lance Corporal Dennis J. Veater of Jessup, Pennsylvania was assigned to Marine Forces Reserves Marine Wing Support Squadron 472, Marine Wing Support Group 47, 4th Marine Aircraft, Wyoming, PA. He was serving as a Vehicle System Operator in Iraq during Operation Iraqi Freedom. On March 9, 2007, LCpl Veater died while conducting combat operations in Al Anbar Province. He was 20 years old. A 2004 graduate of Abington Heights High School, Dennis Veater attended Penn State Worthington-Scranton where he studied Criminal Justice. He wanted to serve his country as his father had before him. He loved being in the spotlight and entertaining his family and friends by creating songs and dances, making faces and cracking jokes. LCpl Veater was killed within two weeks of his scheduled journey home. He was looking forward to bonding with his 14-month-old son and planning for his wedding set for May 26th, 2007. LCpl Veater’s son, is a recipient of the Folds of Honor Children’s Fund scholarship.